IAM141 honored the victims of the senseless Las Vegas mass shooting as the 2017 IAM141 Chairman’s Conference drew to a close last week. Throughout the conference, the tragedy was never far from the minds of the speakers, nor was the willingness to support the families of the victims or the city of Las Vegas. 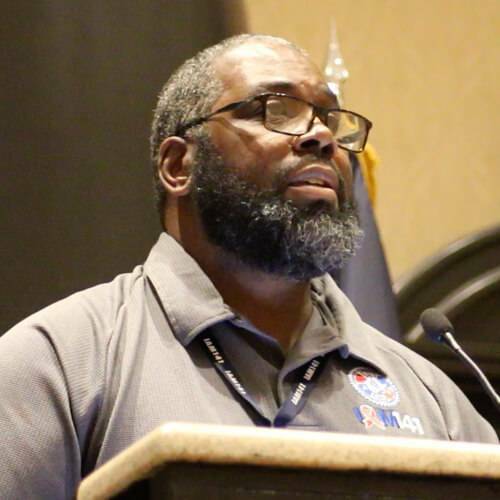 The conference opened with a somber message from Derrick Monk (Local 1776 PHL), who pledged solidarity with the families of the 58 people killed in the attack at the Route 91 Harvest country music festival. “Love will always overcome hate, good will always overcome evil,” he said. Investigators have said that the horrific massacre, the deadliest mass shooting in modern US history, was perpetrated by a gunman firing an automatic rifle into the crowd from the 32nd floor of a nearby hotel, situated across the street from the music venue. 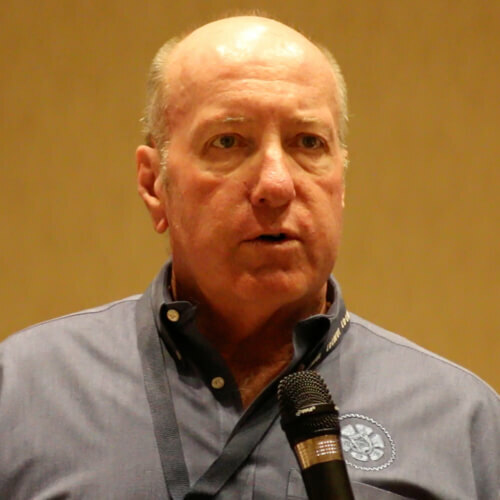 Employee Assistance Program (EAP) Director Bryan Hutchinson assured the District that the EAP would be available for any member that needs help dealing with emotional trauma resulting from the attack. Hutchinson pointed out that several IAM members and their families were directly impacted by the tragedy, including a few who were present at the massacre. He asked that IAM141 leadership help guide those who are dealing with psychological trauma to the EAP. The EAP provides free and confidential assistance to IAM141 members who are experiencing extreme stress, substance addiction or depression, among a wide range of other personal issues. In his remarks, Hutchinson repeatedly underscored that EAP Peer Coordinators are compassionate, well trained and ready to listen. Members that need to contact the IAM141 EAP for any reason may do so at IAM141.org.